Special thanks to Sunway Hotel Seberang Jaya and Sunway Hotel Georgetown for extending this food review invitation. 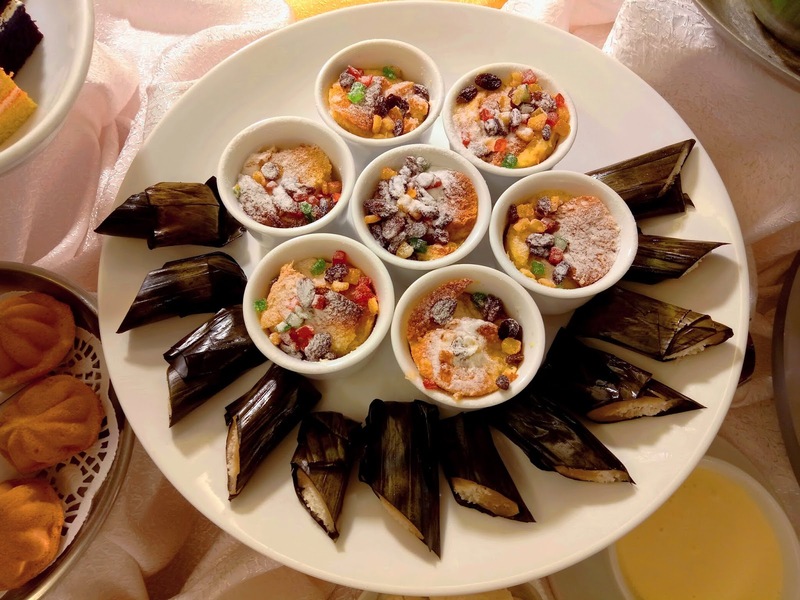 Once again, Sunway Hotel Seberang Jaya leads the pack as the first hotel to give a sneak peek at its upcoming Ramadan buffet. 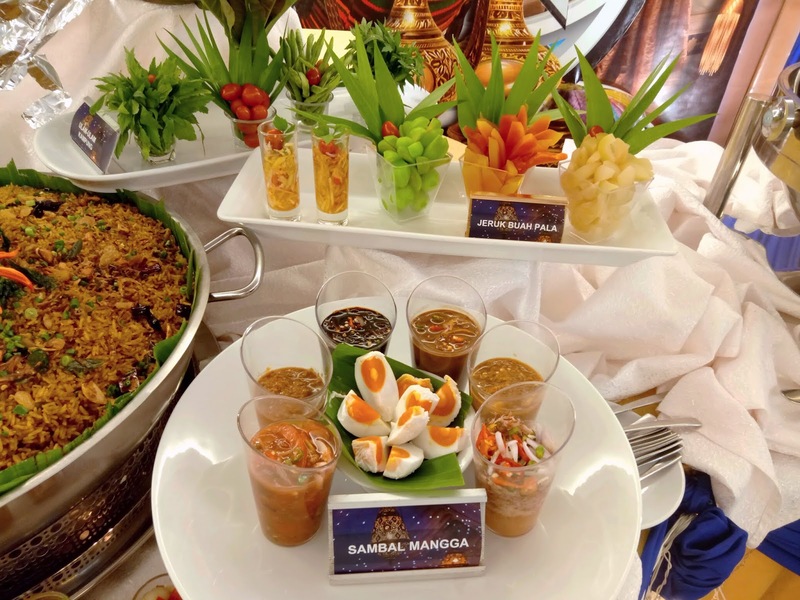 This year's theme is "Citarasa Antarabangsa", which implies that the menu covers local favorites as well as international cuisines. Today's preview only showcases a subset of available dishes; the actual buffet spread will be placed in the Sri Cengal Ballroom. 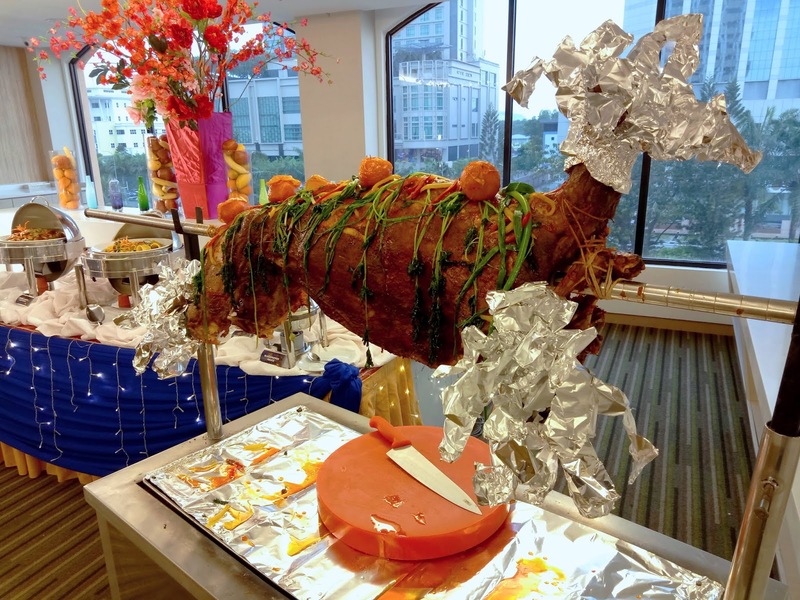 Sunway Hotel's signature dish is Kambing Panggang Pak Majid, which is named after one of the chefs here. The mutton is marinated for 24 hours to ensure that every morsel is seasoned properly. Roasted to perfection, the mutton remains quite juicy and goes well with black pepper sauce. 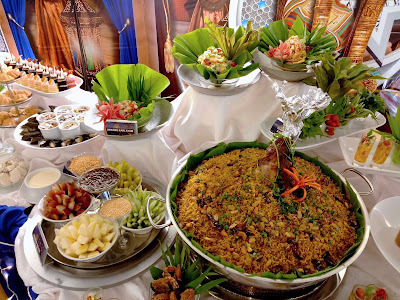 Another crowd-pleaser is Nasi Briyani Kambing Pulau Mutiara. Long-grain basmati rice has a loose texture that is compatible with flavorful spices. Other appetite-inducing dishes are Rojak Buah (fruit salad), Acar Jelatah (cucumber & pineapple salad), Kerabu Kaki Ayam (chicken feet salad) and Thai Mango Salad. Ulam-ulaman kampung comprises of ulam raja (king's salad), daun selom (selom leaves), kacang panjang (yardlong beans) and tomatoes. These raw vegetables are customarily eaten with pungent sauces like sambal belacan (spicy shrimp paste), sambal kicap (spicy soy sauce), air asam (tamarind sauce), budu (fermented anchovies) and cincalok (fermented shrimps). Meanwhile, pickled fruits include nutmeg, papaya and ambarella. 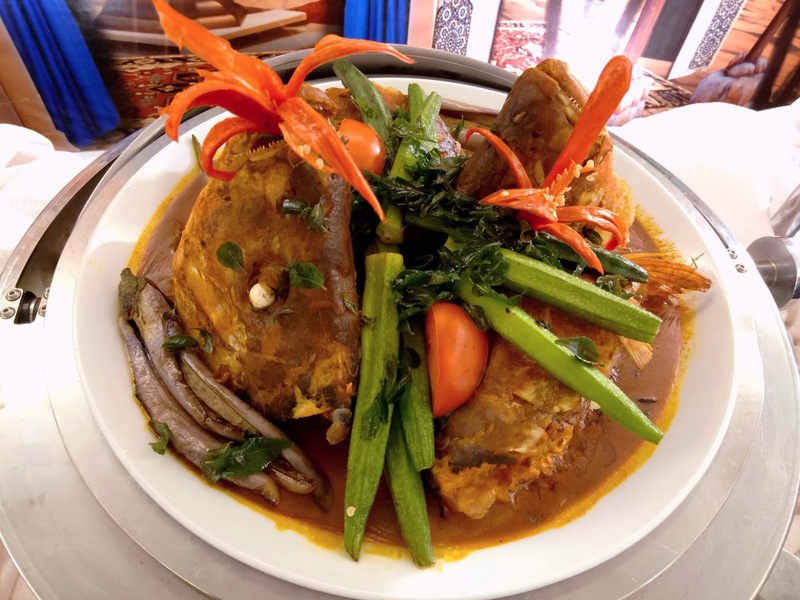 Rich with coconut milk, Kari Kepala Ikan Sri Pinang Kawah is a succulent dish indeed. The choice of fish is red snapper, which is arguably the best fish for this dish. Meanwhile, okra (lady's fingers) and eggplants (brinjals) do a great job in absorbing curry flavors. Ayam Masak Madu is cooked with honey to present soothing sweetness on the palate. 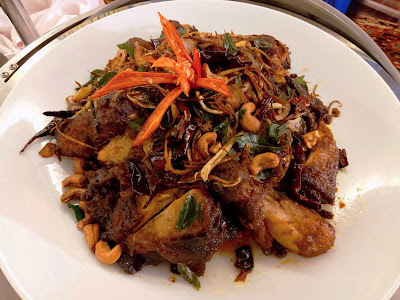 Meanwhile, the presence of cashew nuts provides a mouthful of crunchiness to this poultry dish. Adding to flavor are dried chili peppers, curry leaves and shallots. 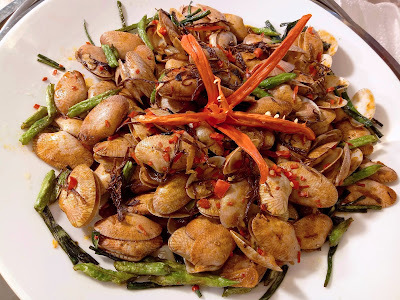 Lala Masak Cili Halia is a spicy dish of wok-fried clams. This type of shellfish does not have much meat, so its main appeal comes from the aroma of chili pepper, ginger, garlic and shallots. Presented at the pastry section is a combination of local Malay kuih and Western confections. For the former, popular treats are kuih dadar, kuih talam, kuih lapis, kuih bangkit, bahulu and more. Worthy of special mention is Bubur Kacang Hijau (mung bean soup) with durian purée, and Sago Gula Melaka. 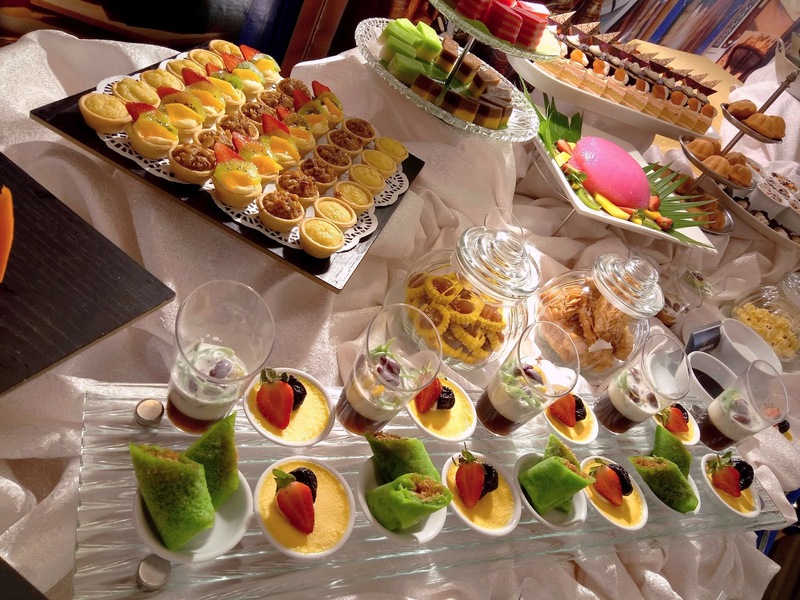 Meanwhile, Western pastries include Bread & Butter Pudding, Crème Brûlée, Fruit Tartlets and Petits Fours. Unfortunately, I think that the Crème Brûlée lacks the hard layer of caramelized sugar. 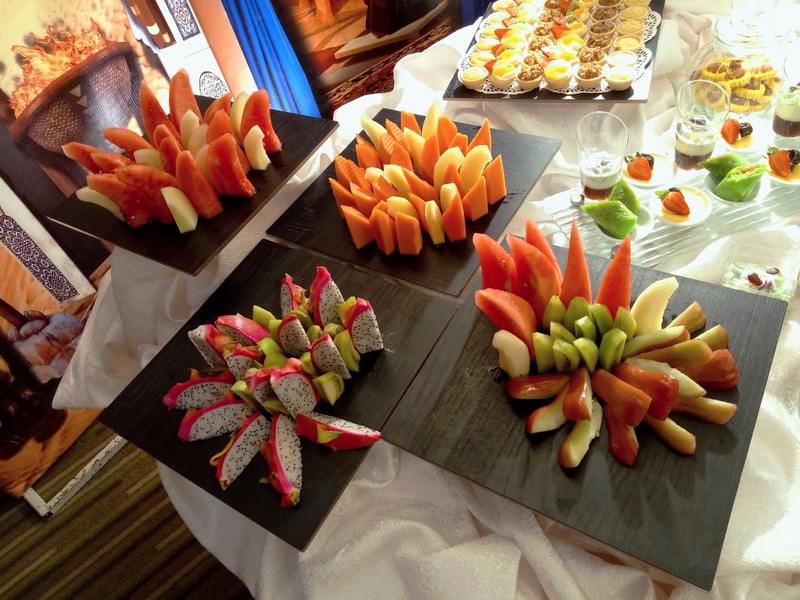 Last but not least, diners may cleanse their palates with fresh fruits. The fruit platters contain jambu air (rose apple), pitaya (dragon fruit), kiwifruit, honeydew, papaya and watermelon. As for drinks, Sirap Bandung (rose-flavored milk) is served. 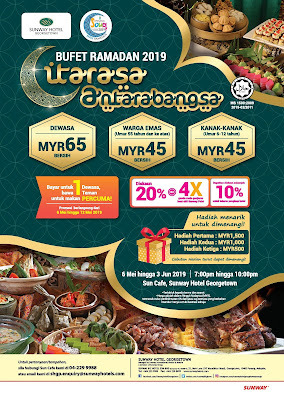 The Ramadan buffet dinner at Sunway Hotel Seberang Jaya runs every evening from 6 May 2019 to 3 June 2019. Early bird customers enjoy 30% discount on the usual adult price. 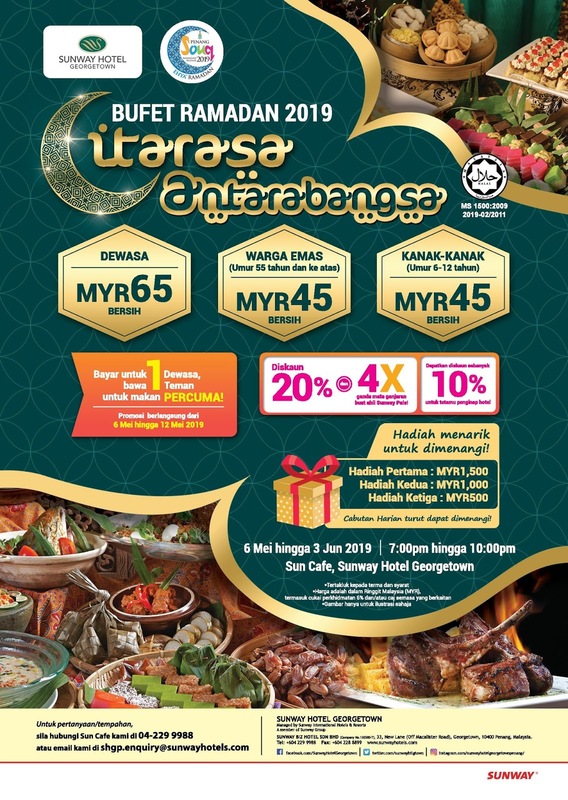 In addition, Sunway Pals members get 4 times the usual reward points. 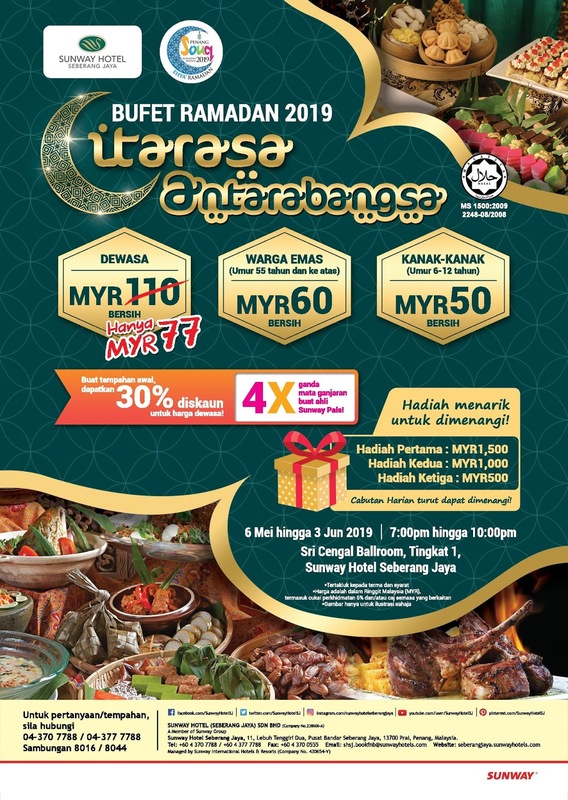 Besides daily lucky draws, diners also stand a chance to win a grand prize of RM1,500.00 in cash. 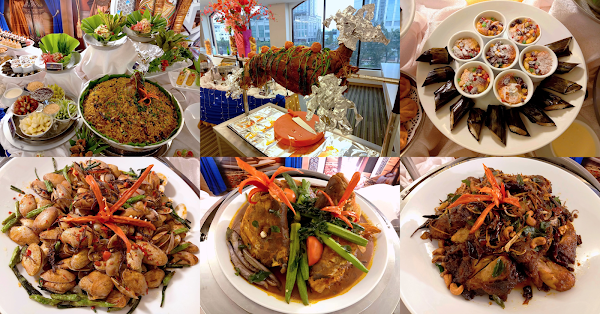 The Ramadan buffet dinner is served concurrently at Sunway Hotel Georgetown. The food menu is somewhat similar, albeit not as bountiful as the one at Sunway Hotel Seberang Jaya. Customers can take advantage of the "Buy 1 Free 1" promotion during the first week. For reservations, please call (+60) 4-229 9988 or drop an email to shgp.enquiry@sunwayhotels.com. Directions: From Lebuhraya Utara-Selatan (North-South Expressway), take the Seberang Jaya exit and head west. Turn left just before the pedestrian bridge and drive all the way to the end. When the road splits, keep right. Sunway Hotel is further down on the right. There are parking spaces within the hotel's compound. The parking fee is RM6.00 per entry.